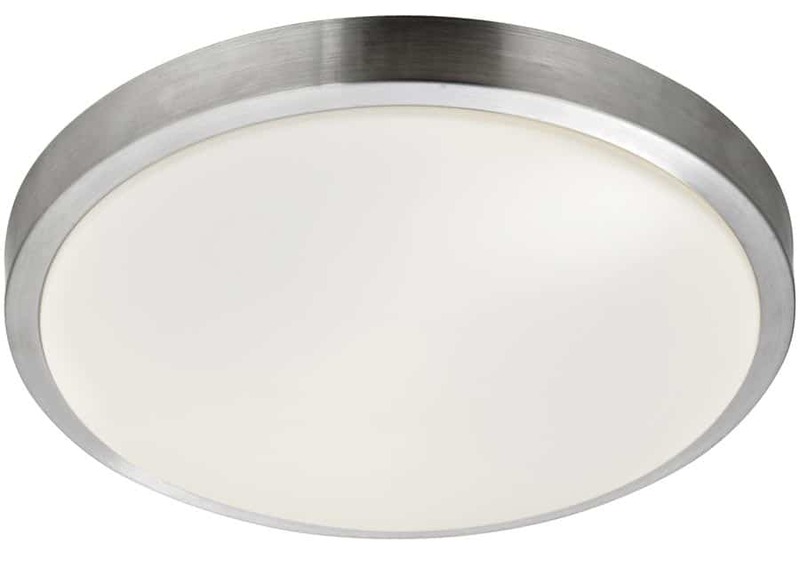 This bathroom flush 18w LED ceiling light with aluminium trim, opal white shade and rated IP44 is stylish and functional. Featuring a circular mount, 33cm diameter aluminium outer bezel, central domed opal acrylic shade and fitted with warm white LED’s that provide 1440 lumens of light. Now you can illuminate your bathroom with this classic energy efficient flush fitting. The aluminium trim fits well with almost any style of bathroom whilst the opaque shade creates a radiant warm light that looks fantastic in a hallway or kitchen and the IP44 protection makes it suitable for all bathrooms. If you are searching for a flush ceiling light to complement your bathroom, this is certainly one to consider. The classic style and low profile make this suitable for any bathroom style and it’s energy saving too. Rated IP44, suitable for zone 2 and specifically designed for use in bathrooms but can be used anywhere inside your home except wet rooms. Suitable for zone 1 if protected by a 30MA RCD. 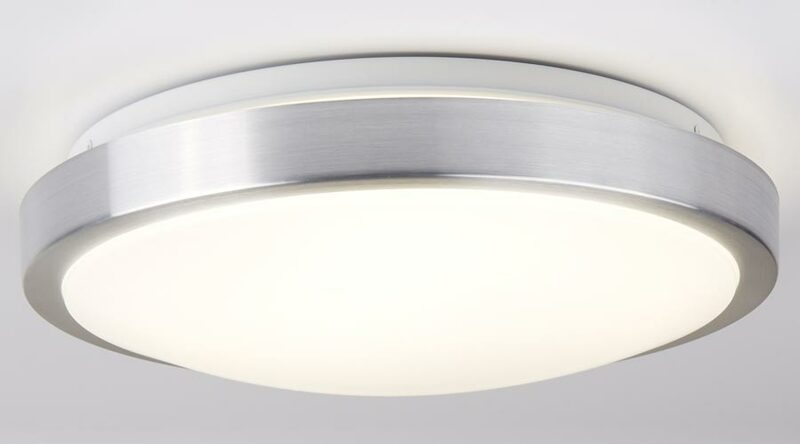 This bathroom light is supplied by Searchlight who manufacture some of the best traditional and modern classic designs such as the bathroom flush 18w LED ceiling light with aluminium trim, opal white shade and rated IP44 you see here.